Not many people pay any attention to their windows until something goes wrong, just like most things. And then when it's time to take care of the problem, things can get confusing because there's a whole new set of vocabulary words to learn in short order. Below, you will find, in plain English, just exactly what some of those terms mean. Apron: This is the flat piece of trim molding that goes on the wall just below the stool, on the inside of the window. Casing: This term refers to the decorative trim molding that is on either side of and across the top of the window. Fenestration: This is just a fancy, architectural term for how windows are arranged in a wall. Jamb: This is the wood frame that forms the opening where the widow is set. Lite: This is an individual pane of glass within a window and it is framed by rails and stiles, such as formed by a muntin. Windows are described by their lites. 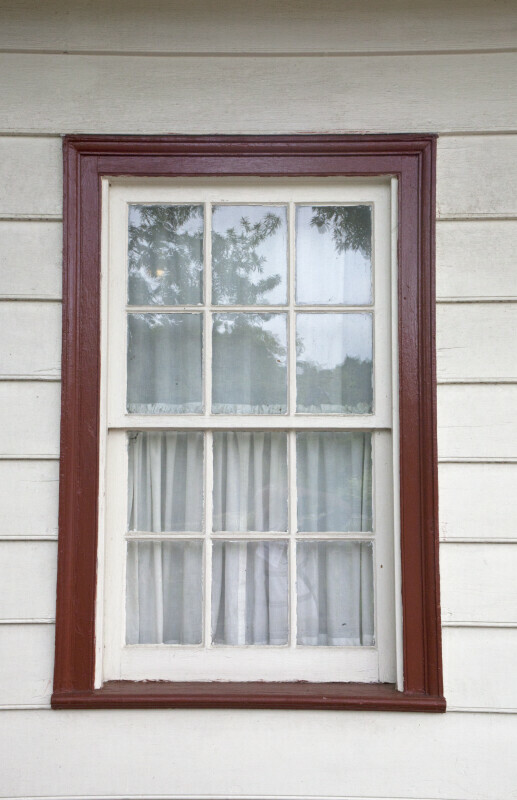 A 6-over-6 window has six individual pieces of glass in each the upper and lower sash. Mullion: When two or more windows are set side-by-side, this is the usually wide and flat piece of wood between them. However, decorative trim may also be used. Muntin: This is the name of the little pieces of wood that hold the small, individual panes of glass in a multi-paned window. Pane: This is a piece of sheet glass installed in a window. Rails: These are the horizontal pieces of wood found in a window. Sash: This refers to the assembly of horizontal and vertical pieces of wood that house the pane of glass. When you open a window, you either raise the sash or crank it out. Both the operating and non-operating parts of the window are called sashes. Sill: This is the horizontal piece of wood outside the window that slopes downward to allow water to drain away from the house. Stiles: These are the vertical pieces of wood found in a window. Stool: This is the horizontal piece of wood on the inside the window, flat across the bottom. It is often incorrectly called a, "sill," but that's its counterpart, of sorts, on the outside. This is the part where people tend to set decorative doo-dads. These basic terms should help you feel more confident when discussing your windows and the options open to you.